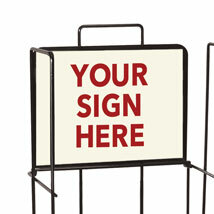 Create a custom sign with your customized message on it. 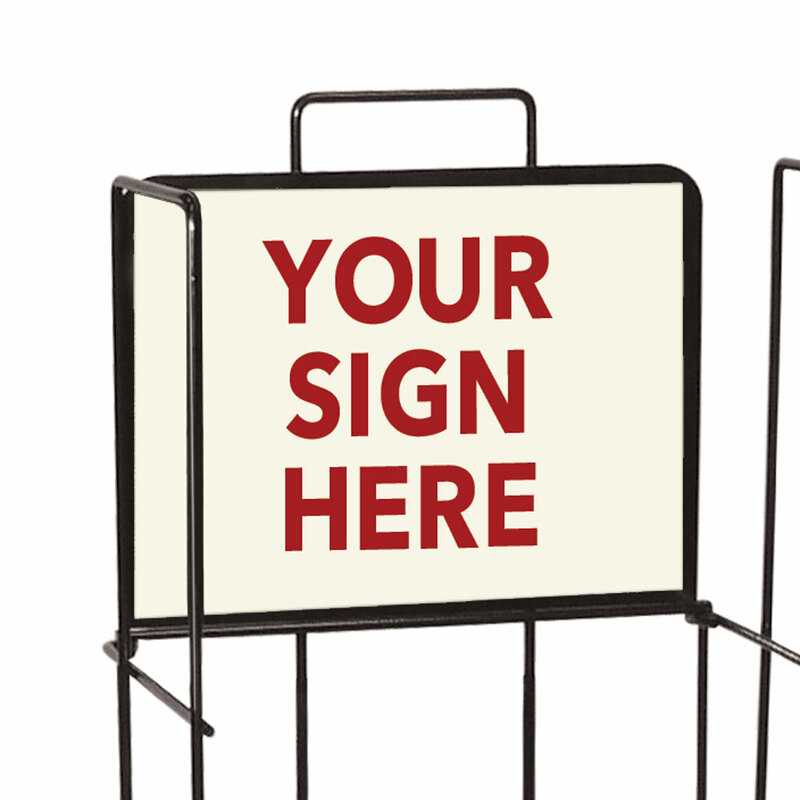 Great for special pricing, store branding, sales or other information that might be helpful to your customers and your business. Shown here with our #2044 Quarterfold Literature & Newspaper Display Rack.